Our Trained and experienced mechanics provide you engine rebuilding service to restore your engine for sound performance. By strictly adhering to the industry standard, we remove substandard components and replace them with the OEM parts. Prior to reassembly and on-site dynamometer testing, we remove the all external components including engine assembly, Cylinder heads and oil pan, thoroughly check each component for excessive wear and fine-tune each engine part of the engine. Our Sprawling centre is equipped with the best equipment and testing tools.During the rebuilding process, we ensure that the Power, Torque, Engine Calibration, and Performance of your engine must be in the peak position. After completing all necessary machining (Engine block machining and Crankshaft machining) with utmost care and attention to details,we conduct bench testing, final mechanical test and road test to assess the performance of your reassemble engine. Our skilled mechanics make sure that your engine is leakage free, dialled in and ready to run condition. 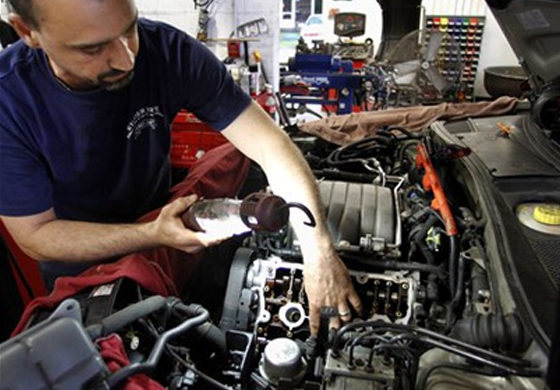 We handle your entire query related to your newly re-manufactured engine including scheduling first oil change.